“Candice” never saw herself as a criminal, just somebody “doing what she had to do.” In a seemingly endless succession of measures to take the “edge” off of life, Candice tried to hold her life together by convincing herself that there was no foundational problem with using an illegal substance for helping her cope with the pressures of being a single mother of three and living well below the poverty line. It’s a difficult road to be on, with three children under the age of six. It’s made even harder when mom is only 20 years-old herself, has no education and who’s drug addiction behavior is starting to show. Life began to unravel five years ago when she was a freshman in high school. Her parents had divorced a few years earlier and she was living with her grandparents. Like many 15 year-old girls, she had an interest in the boys and made some poor decisions. She had the first baby when she was in her second year of high school and was pregnant from a different boy again before dropping out of school in her junior year. When she was 18, she met an older man and thought she might have an opportunity to get some stability in her life, but all she got was pregnant again. Her grandparents, who were living at the lower end of the middle class, were not able to handle the three children alone. Candice was rarely home, even though her working hours were from 6:30 a.m. to 2:00 p.m. Even for an adult, being a single mom is a chore, regardless of income or educational background. For Candice, it was a nightmare. Still a child herself, she wanted to be with her friends, and rationalized that her children were taken care of by her grandparents. She just wanted to get away. One afternoon she had her first experience with crack cocaine. Her drug addiction behavior had started…She got away. The euphoria from the crack gave her an escape avenue, albeit a very short one. A couple of weeks went by and the grandparents, who tried to help Candice manage her money, began asking questions about what happened to her paycheck and why she had been spending so much time away from her children. They quickly deduced that Candice was into something over her head and pressed her for information. Call it “tough love” or call it an ultimatum, but the grandparents demanded change for her, first by requesting that she get some help and finally by drawing the line in the sand, saying either comply with us or leave the house. She chose to leave. The kids stayed at home, while Candice moved in with friends. Soon after, she was out of money and lost her job. She was arrested for shoplifting and police discovered a small amount of crack cocaine on her person more drug addiction behavior. She came back and agreed to see a doctor. The visit to the medical clinic immediately led to a referral to a drug treatment center. Candice realized that she was in jeopardy of becoming addicted to the crack that her drug addiction behavior was OUT OF CONTROL. She also knew she needed help getting her life back together, starting with completing her GED. Through the treatment center, she was able to begin working towards those goals. Her case came up in court and the judge ruled that she was to continue in treatment, complete her GED and stay clean for 18 months in lieu of a fine or a jail term. The judge emphasized the treatment and recovery process, but also issued a warning that her second court appearance would be “unpleasant.” Her drug addiction behavior was unacceptable and illegal. Young girls get into trouble early by thinking that having a baby, having a little person to love, with fill their hearts. They look for love and security from boys and men, who do not love them, do not care about their children, and will vanish at the first hint of responsibility. Candice had no education, no moral compass and no particular ability to reason through the events of her life. Her grandparents tried, but she made bad decisions. The crack cocaine use was supposed to be the answer, but it just made a bad situation worse. She was lucky. She got caught. Drug addiction behavior isn’t so much about the way someone is acting in the moment as it is about the change that has taken place in the way he/she behaves. Addiction doesn’t just happen overnight and if you look for the drug addiction behavior, you might be able to see the early warning signs of trouble and do something to help. To understand this, we need to examine the nature of drug addiction. It is a disease of the brain. When a person takes the substance of their choice, there is a reaction in the brain. That is really what begins drug addiction behavior. Most of the time it is a release of dopamine, which is the chemical that gives us reward. Only instead of releasing a little dopamine, like the tiny amount that would let you enjoy a bowl of chocolate ice cream, it releases massive amounts of dopamine and you get a rush. That’s what cocaine and heroin addicts want so badly. Methamphetamine addicts are constantly chasing the high. That feeling of euphoria, that chemically-induced moment of being on top of the world and invincible, is what they crave. This doesn’t necessarily happen to everyone. Some people can use an illegal drug, even often, and never develop addiction. It may take some time, or it can happen relatively quickly, but people go through a process when they become addicted and it’s that process that you need to notice. It starts slowly. After experiencing that first rush the use naturally want to repeat the experience. It maybe that they tried a drug once at a party, they enjoyed it and they think to themselves “That was good, so what does it hurt?” If something feels that good it can’t possibly be bad for them, right? They may have long periods of time between experiences, or in some cases they go right back for round two and try it again. It all seems so harmless, but over time the brain plays a dirty trick on them. The brain will get tricked into thinking it needs the drug to feel good, or to feel normal. This is an over simplistic way of explaining that the brain changes, chemical transformation takes place and the “new normal” is anything but the original way things were supposed to be. As the brain changes, as the natural chemical balance turns into imbalance, the user will develop a tolerance to the drug. That means they will need more and more of their drug of choice to get the same results. This process can create a psychological and physical dependence on the drug. Again, the brain will think it needs a hit to function. Young people are in serious jeopardy of failing their school work once they start down this path. An “A” student will become a “D” student for no obvious reason. Parents are left scratching their heads wondering what happened. Teens are for the most part very image conscious, so when a child loses interest in the latest fashion trend, or their appearance in general, that’s a sure sign that something terribly wrong. They may not see the same kids as before. Something is up, but you don’t know exactly what it is. Adults may call in sick and miss work days. They may show up late and poor job performance goes hand-in-hand with some kind of a major change. Career aspirations can be put on hold as the addiction develops. They don’t spend time with their kids and even if they were super parents before the drug use, that becomes a distant memory. Denial is a key component of addiction. Usually the addict will vehemently deny any drug use, any problems with drug abuse, and they are never addicted. They do not have a problem and may even become very angry when someone mentions it. If there is a problem to be discussed it is your problem, not theirs. Addiction does not want to let go and denial is powerful. Even after the addict realizes that things have gone very wrong, they will deny their addiction, because they are compelled to use the drug. Cocaine addicts, for example, dread the intense cravings that they get when they don’t have a supply of coke on hand. Heroin addicts may fear treatment more than the disease itself because they can’t face the withdrawal. They know what it feels like when they need a hit and their drug isn’t available, so they will avoid any situation that denies them their drug of choice. Addicts like to be in control, so even if they go into treatment there is a good possibility that they will walk out over some disagreement with the staff. They may be clean for a few days and declare themselves “cured.” They go back home, get with the same people and start using again. Relapse, you see, is a part of the disease. 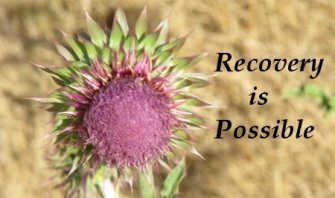 It’s not that a person relapses, it’s whether or not they do back to treatment. Loved ones and friends may call relapse some kind of moral failure, but in reality is an expected event with many addicts, so the point is getting back on track. Keep trying. Truth is, there is no cure for alcoholism or drug addiction. There are those who use and those who don’t. Treatment and recovery are all about making the best choices and learning how to manage the disease. Drug addiction behavior, therefore, is all about choices. Addicts can lead healthy, happy and productive lives, as long as they stay away from the drugs.